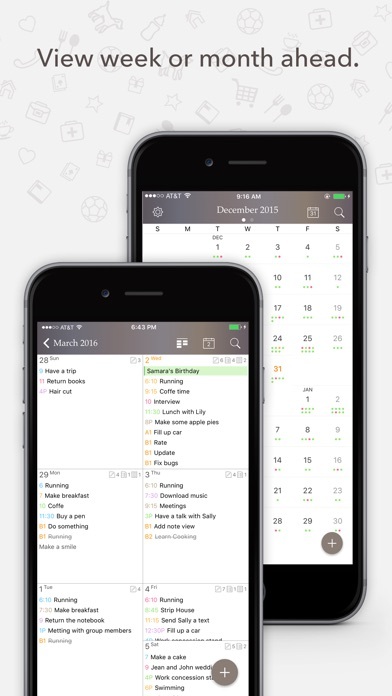 Planner Pro is a basic book like planner. The things I like about it: 1. I like the format. It’s not too busy. Displays the basic information. What it needs 1. Week view only has the column format. 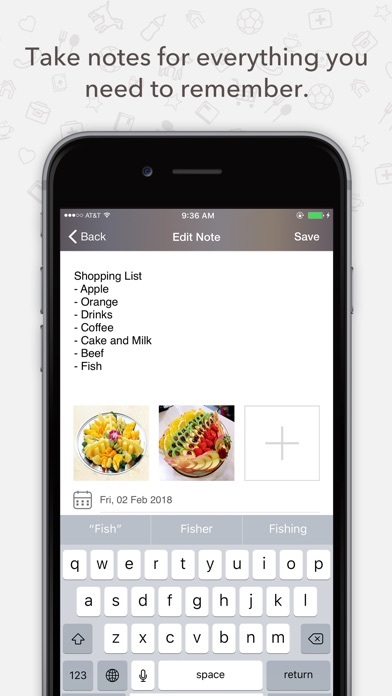 I prefer a grid format where you can choose the number of days to show in the grid. 2. For some reason month view has an extra column (eight columns) which serves no peruse except to wast screen space. 3. 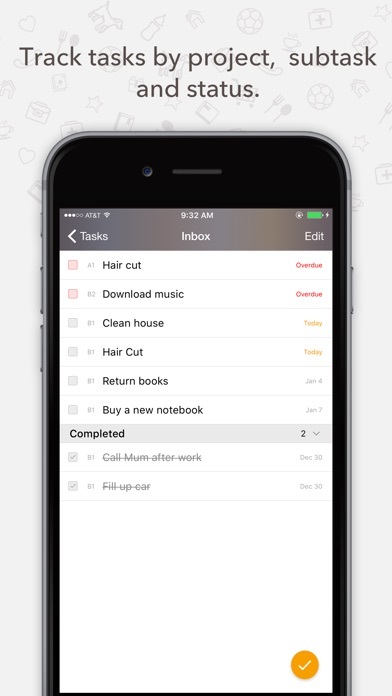 Tasks gives you a limited selection of the repeat options. For month repeat you should be able to pick either the day number (eg. the first of every month) or day first (or second, third, fourth...) Monday (Tuesday, Wednesday, ....) of the month as well as the number of months which it currently does. I had to switch from Android to iPhone. Upon doing so, I downloaded the app on my new phone and lost a lot of info. Also, most of the features and personalization available on Android are not available on iPhone. I was very happy with this app before but not so much now. 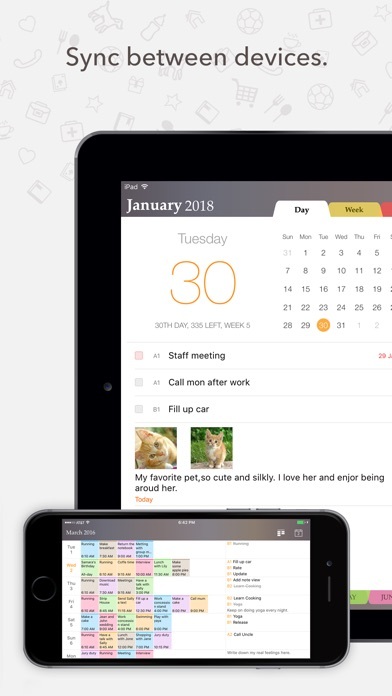 I have several calendars I manage but would like to use this app exclusively and have the ability to import school, work, and personal calendars. I like the design. Eye pleasing. But it never alerts me when it’s supposed to for a task or event. I set it to alert me the day before, it alerts me the day after something is due. That is annoying. Excellent product for all your planning needs! Easy to use, great for any project work and so much more. 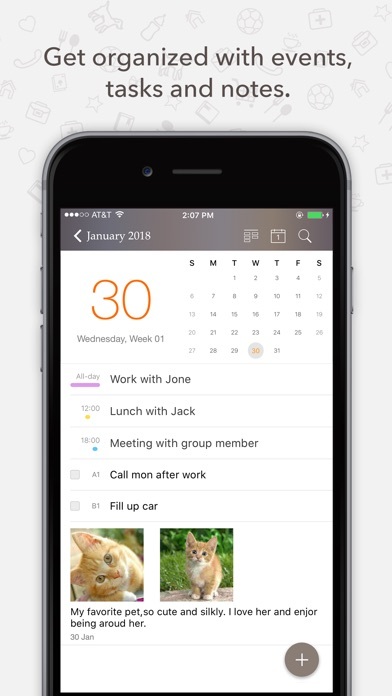 I love it, as it syncs with my phone calendar. I can turn off my phone and look on the planner and know what I have scheduled.